When I was first presenting with a network marketing opportunity, I knew absolutely nothing about the direct selling industry. Now I know it is the career of the future. Nine years and millions of dollars later, I have found my dream career and have no plans to ever go back to the corporate world. What do all four successful individuals understand about this career of the future? This video about the Current State of the Direct Selling Industry does a great job of explaining why this industry is actually the best kept business secret in the world. Number 1 Reason Direct Selling is the Career of the Future: People trust personal recommendations. Have you ever recommended a new restaurant or movie to a friend? I know I have! Did the restaurant owner or movie producer send you a check in the mail for the business referral? Didn’t think so. A word of mouth recommendation is the most powerful form of marketing. The direct selling business model is the career of the future because it is built around this natural inclination. We can’t help but share the wonderful things we come across. The only difference here is that, in the direct selling industry, we get paid to share these products! If you’re passionate about the products, you will recommend them to the people in your life, earning huge paychecks for doing what you would do anyway! Number 2 Reason Direct Selling is the Career of the Future: Home-based business boom is accelerating. We all know someone who was set to retire on their hard-earned pension or social security only to be rudely awakened to the harsh reality that the nest egg they were depending on has disappeared. Depending on the government or a big corporation for your financial future simply isn’t feasible anymore. What used to be considered the “safe bet” is now a financial gamble. As a culture, we are becoming more entrepreneurial and the career of the future is about creating our own shots through business. I must say, it is pretty fun being my own boss! I get to decide when I work (schedule flexibility), who I work with (only positive people), where I work (my home office or on a beach), and what I work in (yep, sometimes it’s my robe)! Number 3 Reason Direct Selling is the Career of the Future: Low start up cost. High earning potential. Best of all, the investment to start my very own direct selling business was a small enrollment fee, some product to share, and some promotional tools. That sure beats hundreds of thousands of dollars! In just shy of two years in the industry, my initial investment became millions of dollars! This is exactly why the direct selling industry levels the playing field. Where else can you find a hundred dollar price tag on a multi-million dollar opportunity? Are you starting to see why this is the career of the future? Number 4 Reason Direct Selling is the Career of the Future: Residual income. Residual income is money that keeps coming in long after you’ve done the work to create it. After I had built my network marketing business to the multi-million dollar level in just two years, I decided to reward myself with a six week vacation in Europe. I was essentially away from my business for 10% of the year, and yet the checks still came in. Every. single. week. Big checks too! Most income streams in the form of a job or a traditional business dry up as soon as you stop working. The career of the future is about residual income. The momentum you create in a direct selling business means you get paid over and over again. Number 5 Reason Direct Selling is the Career of the Future: Leverage. As you build your career of the future and shop for the direct selling company that’s right for you, make sure you are asking, “How duplicatable is this business model?” The simpler that business model, the better. It is for this reason that my friends and I have set ourselves financially free with this opportunity. When you have a job, you are the one doing all the work. When you build a direct selling team, it is the combined effort of everyone on your team that earns money for you! Everyone pitches in a little bit, and everyone gets paid. Collaboration and leverage are integral to the career of the future. The question isn’t can you afford to do direct selling and build your lucrative career of the future. The question is can you afford not to? 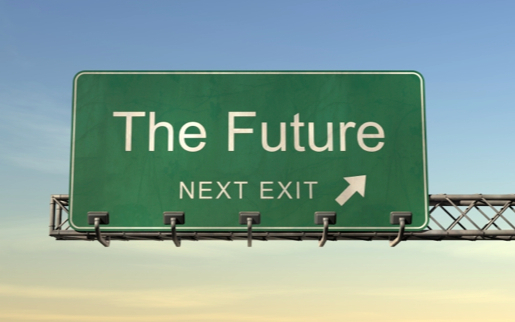 What do you think about direct selling as the career of the future? Is it your career of the future? Share your comments below!